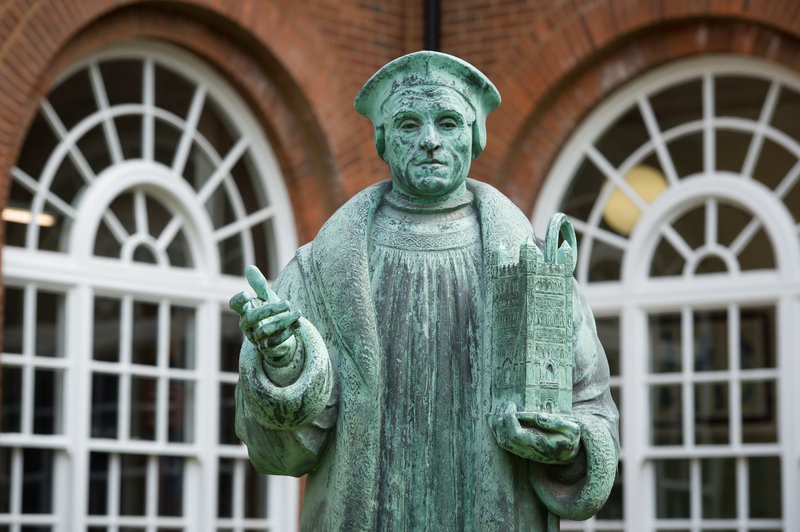 Hugh Oldham, a local boy who went on to become Bishop of Exeter, founded The Manchester Grammar School in 1515. He had the highest aspirations for MGS, and each year we fulfill his vision of being an academic school for boys of all backgrounds. During the last 500 years, the School has evolved, and it has been the ability of the School to adapt and develop which has helped us to remain one of the country's outstanding academic schools. 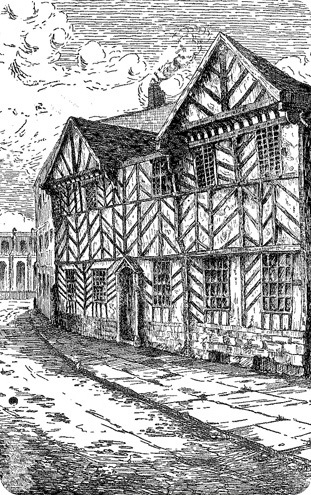 Hugh Oldham was born around 1452 and spent his youth in medieval Manchester. Initially Oldham was educated in the home of Thomas Stanley, first Earl of Derby – whose wife, Countess Margaret Beaufort, took a keen interest in the education of young boys – and went on to study at Exeter College in Oxford and at Queens' College, Cambridge. 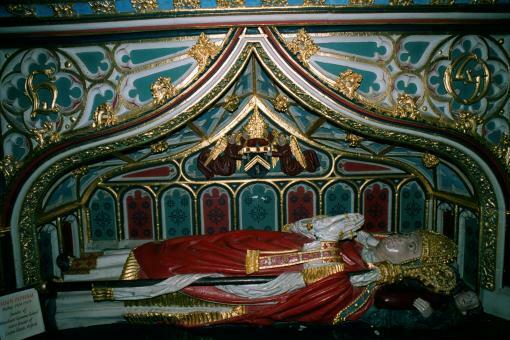 Oldham prospered as one of the Countess's protégés, and was appointed Bishop of Exeter in 1504, some time after her son Henry VII's accession to the throne in 1485. In 1511 Hugh Oldham, whilst listening to his ally Dean John Colet – founder of St Paul's School in London in 1509 – preach on the need for Reformation of the Church, sensed the swell of opinion against the old religion, the impending changes that were to culminate in the Reformation and the creation of a Protestant establishment in England. 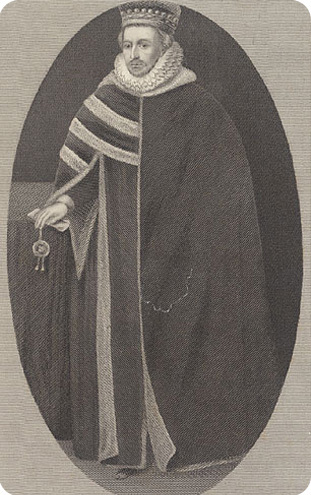 Oldham was a visionary and when Richard Fox, Bishop of Winchester, asked his advice over setting up a charitable foundation to 'atone for the sins of like', Oldham urged him 'to provide for the increase of learning, and for such as who by their learning shall do good in the church and commonwealth.' 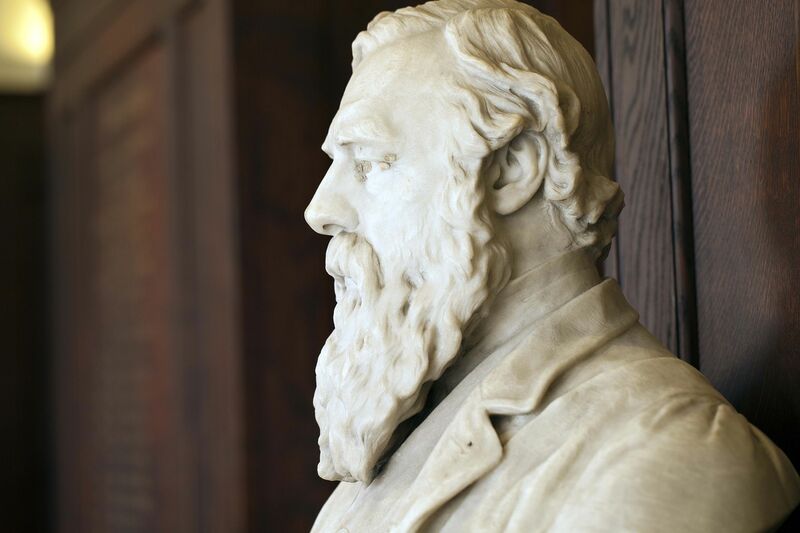 He was not a Protestant Reformer, but he was a man of the renaissance, impatient with some decaying aspects of the old religion and though no scholar – Oldham was described as 'being a man of more zeal than knowledge, and more devotion than learning' – ready to embrace the New Learning. 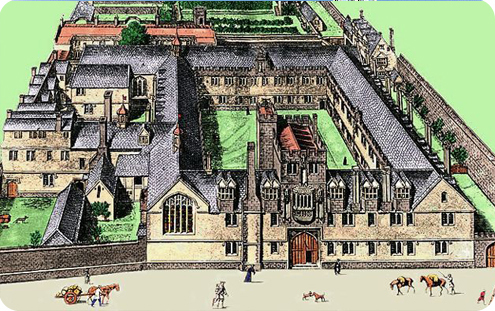 Corpus Christi College – the college he and Fox eventually founded at Oxford – was the first, either there or at Cambridge, to teach Greek. Fox also built and endowed schools at Taunton and Grantham. Oldham was the principal benefactor to Corpus Christi contributing the huge sum of six thousand marks; he had had the foresight to use the wealth the ecclesiastical pluralism had brought to him to enrich the lives of the poor, in particular the poor of the county in which he was born. Importantly for MGS the seed was sown for a permanent and fruitful link between the College and the School, which continues to this day. In 1515 when Hugh Oldham founded the Manchester Free Grammar School, Manchester constituted little more than a village; Salford was by far the larger town. However, education in Manchester did not start with Hugh Oldham's initiative as an embryo of the school he enriched had already been connected with the Collegiate church (now Manchester Cathedral) and some type of educational endowment probably dates back as far as the foundation of the church in 1420; links with the Cathedral are still maintained today. 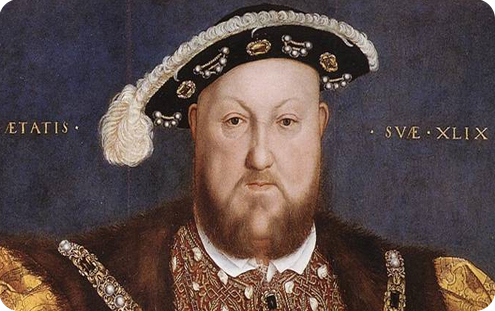 At the time of the foundation of MGS, Henry VIII was on the throne and reigned until 1547. The bill of costs for building the Grammar School, signed by Hugh Oldham, shows that the School at Long Millgate was completed by 28 August 1518 at a cost of £218 13s 5d. On behalf of Hugh Oldham, £5 of this amount was paid by clergyman, accountant and chaplain to the bishop, Hugh Bexwyke and his wife Joan, to George Trafford in 1516 "for site of school" and £112 4s 11d to the builders and constructors. On 25 June 1519 Hugh Oldham died and six years later the School was given a new charter. The second charter constituted an entirely new form of government for the school giving it 12 lay trustees (known as Feoffees) who were to administer the revenues of the school. The High Master was to be appointed by Hugh and Joan Bexwyke, and after their death, by the president of Corpus Christi, Oxford. The principal aim of this deed was 'the bringing up in learning, virtue and good manners' of the children of Lancashire…. so that they having pregnant wits have been for the most part brought up rudely and idley and not in virtue, cunning, erudition, literature, and good manners.' 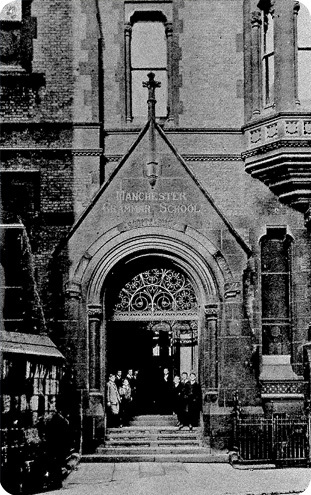 The aim was 'for a Free School there to be kept for evermore and to be called Manchester School'. The deed of 1525 was more radical than Hugh Oldham's foundation charter in one other respect: now the president of Corpus was expressly forbidden to appoint a monk as High Master. The first school admitted not just boys from Lancashire. Quite specifically no male child was to be excluded from any part of the country, provided he suffered from no contagious disease or infection, such as 'pox, leprosy, pestilence'. Each scholar donated a penny, which was given to two poor scholars – appointed by the High Master or usher – who would clean the building. No boy was allowed to bring any weapon or to eat food in the School, which started at 6:00 am (7:00 am in winter). Senior boys were expected to help the master and usher in teaching their younger fellows the alphabet and the rudiments of grammar. The regime was both educational and religious. The plague in Manchester in 1605 killed around 20,000 people, including one of the School's masters. John Rowlands, previously of Corpus Christi College, succeeded High Masters Edward Chetham and Thomas Clayton and was appointed to the position in 1616. He fell into dispute with the Feoffees and lost his position in 1630 due to his continual absences, although he stated in his letter that he "left a sufficient Deputy in my place…" and claimed … "I have committed no offence worthy of expulsion only with your leave I have endeavored to promote my selfe better… I pray be not offended if I make triall to recover my Schole by law if I cannot regain it by Love', although instead of running the School Rowland had preferred to serve as chaplain to Henry Montague, first Earl of Manchester, leaving the boys in the care of his brother. However in 1638, the educational standards established by two subsequent High Masters, Brideoak and Painter, were enhanced by the appointment of John Wickes. A cultured, scholarly man and a fine teacher, Wickes also attracted to the School the sons of many of the leading Puritan families in the country and beyond. During the Civil War period the Royalist High Master and Feoffees fled from Manchester causing the closure of the School. A document dated 1647 refers to the appointment by Parliament of new Feoffees and other records show the difficulties posted by the surviving Royalist governor, Sir Cecil Trafford, when he refused to acknowledge the parliamentary appointments on Charles II's restoration in 1660. 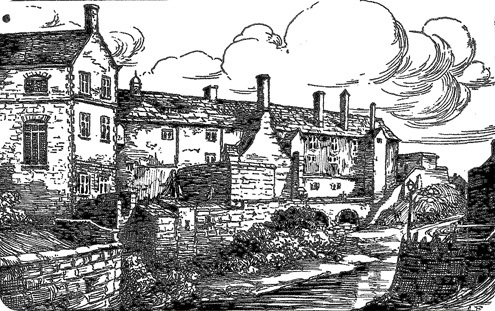 Trafford was allowed to appoint new Feoffees and the mills were wrested from John Hartley, a parliament man, and let to the more acceptable Sir Nicholas Mosley. Sir Nicholas Mosley was a prosperous merchant, the first of the Mosley family to be Lord of the Manor of Manchester, and also one-time Lord Mayor of London. He and his brother had set up a business in woollen manufacture at a time when Manchester had a virtual monopoly on that industry. The ability to send poor boys to university was aided by the Duchess of Somerset. In 1679 the Duchess set aside profits to maintain four scholars from Manchester Free School at Brasenose. 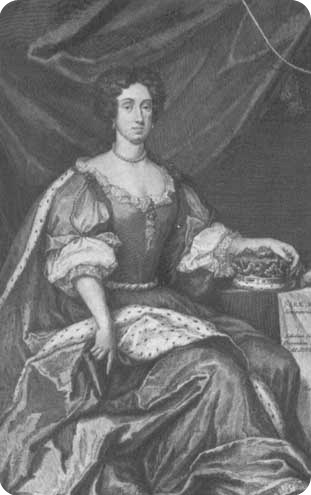 In her will in 1686, she created scholarships at Brasenose College, Oxford and St John’s College, Cambridge to support poor scholars from Hereford, Marlborough and Manchester Grammar School. The Duchess particularly specified that her preferred scholars should be drawn from the counties of Lancashire, Cheshire and Hereford and somehow MGS managed to obtain most of the scholarships for its own pupils. William (Hugh) Barrow was appointed as High Master in 1677. In 1690 school discipline broke down over the length of the Christmas holiday. The boys locked themselves in the School and the masters out. They secured the support of some townspeople who supplied them with food, firearms and ammunition enabling them to fire at the legs of anyone who tried to get inside the School. However, despite occasional acts of indiscipline, Hugh Barrow managed to uphold the high standards that had been achieved during the Commonwealth and Protectorate. Petite School had now been introduced for the younger boys and by 1685 an extra master joined the High Master and the usher to care for them. Despite the upheavals of the two decades between 1640 and 1660, 11 Manchester scholars went from MGS to Oxford and 55 to Cambridge for the most part to train for the Christian ministry. Until the Restoration most students stayed at Oxford and Cambridge for seven years, taking the BA degree after four and their MA three years later. By 1691 many students began to leave after four years. The minutes of the Feoffees’ (now governors) meetings began in 1724 and are continuous up to the present day. Similarly, the Admissions Register begins in 1730, with information such as father’s name, occupation and town of residence. The series was interrupted from 1852 to 1860 but then continued also disclosing previous school and the boys’ annual grades of achievement at MGS. The records contain evidence of some dissatisfaction with the incumbent High Master, Henry Brooke. Numbers of entrants to the School declined alarmingly under his reign – sometimes as few as five boys entered the School in any one year. Brooke had grown weary of the School and was hardly ever there. In June 1743 the Feoffees felt obliged to reduce his annual salary from £200 to £10 and refused him access to the High Master’s house. The records of the minutes of the meeting in June 1743 show that "…. several persons have withdrawn their children from the sd school and sent them to other schools and whereas the sd Mr Brooke hath been admonished of such his Neglect but persists in absenting himself. Therefore the sd Feoffees have thought fit and do herby reduce his salary to the sum of ten pounds per annum…." Brooke was stirred into action but the Feoffees remained cautious and only in June 1747 did they start paying him again. In October of that year he was given £490 back pay and was promised re-entry to the High Master’s house the following May. The School once again began to prosper. The School archives hold Rev Brooke’s unfinished School History. Other items in the eighteenth-century collection are Speech Day addresses, Stewards’ accounts and the agreement for rebuilding the School in 1776. William Purnell (1749) who had been usher at the School for nearly 26 years, succeeded as High Master. By 1753 the School had increased its intake to 36 new boys a year and an increasing number of the nobility appeared in the School. Boys came from further field with half of them going on to university. Purnell introduced literature into the school library and also expanded on the innovation of his predecessor – the introduction of Christmas plays. Manchester's first theatre opened in 1753, and he transferred the School Annual Speech day to this new venue. Six years later his pupils were performing classical and other plays in the theatre for their parents, relatives and friends. 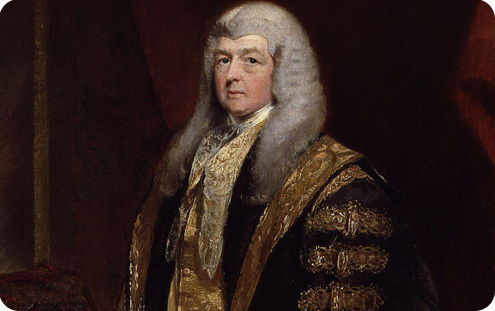 When William Purnell died in office aged 63 he had served the School for 41 years and left part of his property to the new Manchester Infirmary and the school at Newton to pay for the free education of 15 poor children. Lawson always spoke to boys in the third person beginning with the phrase 'Psha, blockhead'. Deep down he was exceedingly caring with former pupils recalling acts of kindness and the School continued to flourish. By 1770 numbers had increased from 100 to 150 and in 1775 another assistant was employed. By 1784, 183 of the boys taught under Lawson's regime had gone on to university, where most of them shone. 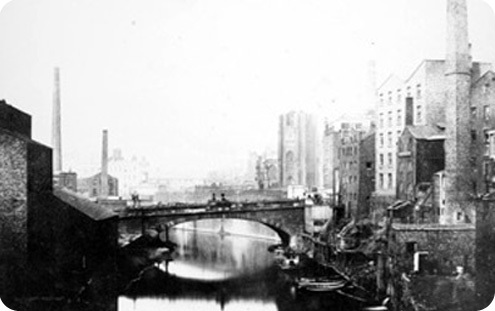 Manchester, though technically still a town and not a city, was now undergoing a remarkable growth. By 1800 it had doubled in size since Lawson – now aged over 70 – became High Master of its Grammar School, and boasted a population of 84,000. By 1800 the School had been divided into six classes: one Latin, one New Testament, three Bible, and two learning how to spell. Each class sat on strong, oaken benches and the first two groups were the only ones without desks. Work began at 7:00 am and Lawson would frequently carry on teaching after 9:00 am, even though boys were expected to breakfast then, finishing in time to start work again at 9:30 am. At noon study ceased for three hours, after which the boys were again taught until 5:00 pm. Holidays were five weeks in summer and around Christmas, with breaks at Shrovetide and Easter. The School twice went into decline in the 1800s, partly due to the dated methods of teaching – the new and large industrial class, along with the merchant class, increasingly clamoured for an education in modern languages and science, neither of which MGS was offering. The decline was also due to the changing demography of Manchester and its environs and radical political influences. Lawson's successor, Jeremiah Smith (1807), constantly grappled with the problems of these changes. However, he was a good scholar and could keep the boys in order without beating them and is reputed to have used the cane only once in his career at Manchester. Once more the roll of boys increased. At the beginning of the nineteenth century Oxford University had reformed its system of public examinations and pupil admissions and Smith had been quick to take advantage of this. In 1839 the Whig Lord Cottenham decreed that no surplus funds should be devoted by the Feoffees to building any boarding houses for the masters or to support any old boy at university. Fortunately the Whig ministry fell in 1841 and Lord Lyndhurst, a Tory and a brilliant scholar, deplored the notion that MGS might become a purely commercial academy. Unfortunately, the funds of the School were rapidly reducing. Revenue from the mills, reaching £2,500 in 1833 was less than £400 by 1863. 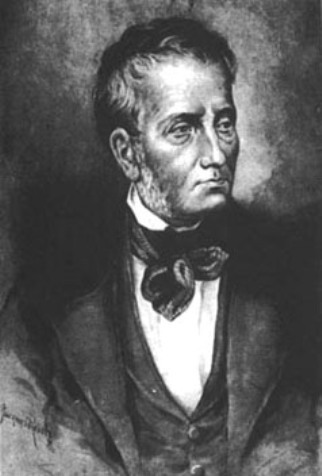 The Liberal Party took office again in 1846 and by 1849 Lord Cottenham succeeded merging MGS with the commercial school now known as the Manchester Free Grammar School. The School now had to educate boys up to 18 or 19 who intended to go to university, alongside boys leaving at 13 or 14 requiring a far more rudimentary education and who would take up a commercial career. High Master Walker joined the School in 1860 and managed the School until 1877. To read about his time at MGS please return to the main menu. 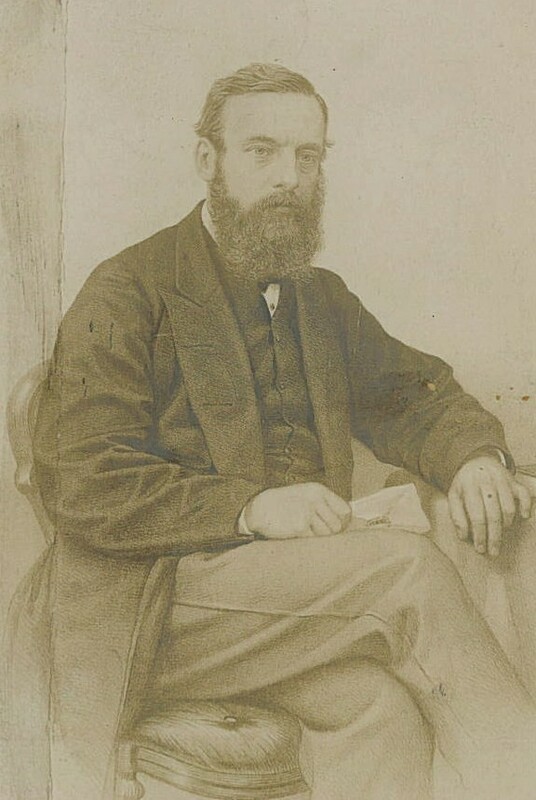 Samuel Dill, the last head of MGS to be appointed by the President of Corpus Christi, succeeded High Master Walker in 1877. Governors replaced the Feoffees and ex officio governors were to be the mayors of Manchester and Salford. The President and the Dean were made governors by courtesy and this body appointed all future High Masters. The Receiver was given the additional title of Clerk to the Governors. On 30 April 1877 a scheme under the Endowed Schools Acts became law reducing the number of free places from 250 to 153. These free places were now to be filled by competition among boys at elementary schools. By 1883 the School was educating 949 boys, 796 of them paying fees. Dill came to Manchester just as Walker's dreams of new, commodious school buildings were being realised. The present buildings, designed for 600 boys, were now bursting with 800. The whole project was costed at around £35,000, but eventually rose to £40,000 and met by generous donations and monies from an appeal. By October 1880 the building was finished, lauded by the British Architect as 'one of the most completely finished buildings of its kind in the kingdom, and having a gymnasium, considered second to none in Europe.' Five hundred boys at once could now drill indoors en masse. The plethora of extra-curricular activates continued to expand. Swimming contests began in 1881; a cricket field was rented and a Rifle Corps established. Theatre was a regular feature of School life. Dill resigned to pursue his academic studies and by 1890 he was Professor of Greek at Queen's College, Belfast. In 1800 Thomas de Quincy entered The Manchester Grammar School but had been so miserable he ran away after eighteen months. De Quincy disliked the upper schoolroom, an immense building ninety-six feet long and thirty-six feet wide, with a ceiling between twenty and thirty feet high. De Quincy judged that 'though of ample proportions, the room was dreary', and he complained that 'the external walls, which might have been easily and at little expense adorned with scenes from classic history, were quite bare.' In his recollection, 'nothing relieved the monotony'. Unhappy memories may well have warped de Quincy's reminiscences as he wrote these words forty years later. He mocked the way Charles Lawson, the High Master of the day, would hold a daily roll-call in the inner courtyard of his house as if it were an Oxford quad with himself as a master of an Oxford college. He smirked at the way Lawson generously provided his groom with a hunter and a horse, since the groom rarely used them. He refused even to visit the lower, 'plebeian' school as he dubbed it, which had been founded in 1685 to prepare boys for the 'proper' Grammar School and where younger boys were taught 'the lowest mechanical accomplishments of reading and writing' by an English master, the Revd John Gaskell. When he began to board in the High Master's own house, de Quincy grew even more morose, for the bad weather and parting from friends depressed him. The then volatile youth perked up again, for his schoolfellows welcomed him ardently. On his first evening as a boarder with Lawson he admired the way his fellow pupils, discussing the arguments for the truth of Christianity as set forth by Grotius, were perfectly willing and able to disagree with the views of the seventeenth century philosopher. De Quincy arrived in London in 1802, a teenage runaway from home and Manchester Grammar School, and lived on the streets for a time, virtually destitute, a period he recalls in his most famous work Confessions of an English Opium Eater, first published in The London Magazine in 1821. Reconciled to his family, he went to Oxford but he frequently returned to London and it was on one of these trips that he first discovered the pleasures and perils of opium which he vividly describes in his book. De Quincy later wrote an account of his friendships with Coleridge and Wordsworth, the later cut short by the poet's disapproval of his addiction, and, in order to earn money, of which he was chronically short, he became a prolific journalist. 'On Murder as One of the Fine Arts', an exercise in black humour which De Quincy analyses a number of murders to reveal their varying aesthetic qualities, is his best-known essay. De Quincy died in Edinburgh where he had lived for many years, writing for Blackwood's Magazine. Fortunately the world of Manchester was being transformed and the railway age was dawning boarding became an anachronism. This new era coincided with the appointment of a superb and visionary High Master, Frederick William Walker. As the railways brought him the finest pupils he could attract, Walker set exceedingly high standards for his masters as well as his boys. This new High Master had a passion for exams and to his good fortune in 1860 Manchester became an examining centre for the new Oxford Local examinations. He entered virtually everyone and in 1863, 18 passed these exams, five with honours. Five years later 44 passed, 16 with honours. Walker set up an honours board in the School to record the boys' university successes. Walker tirelessly supervised the whole school and in 1877 in answer to the question 'What do you do in Manchester?' at his interview for the High Mastership of St Paul's, London, he replied 'Oh, I just walk around and hear everything.' Walking around and hearing everything, he soon noticed the inadequacy of some of the masters he had inherited and the unwillingness of some of his own appointees to match his own enthusiasm for work. Continuing to push through his reform of the school curriculum Walker admitted to being bored by science subjects, which were also expensive. 'I believe in Latin Grammar and the cane. They are cheap and efficient. Yet under him physics and chemistry flourished as he employed excellent masters. When he advertised for a new mathematics master in 1872 he received 270 applications and the successful applicant stayed until 1900. Numerous societies were also set up at this time. As early as 1862 Walker's achievements were attracting more applicants than the School could accommodate and he introduced the entrance examination, to predictable local outrage. In 1865 he was turning away as many boys as he accepted. He was adamant that until the School could afford to employ additional masters 250 boys was the maximum size for his school. By 1873 the school housed more than 500 boys, by 1874 570, 1875 700 and 1876 750. In 1868 it had been suggested that the School should be moved away to the suburb of Ladybarn in Fallowfield, but this proposal was rejected and new buildings at Long Millgate were erected and competed by 1871. Bust of Frederick Walker by Bruce Joy. Presented to the School in 1907 and currently on display in Main Reception. 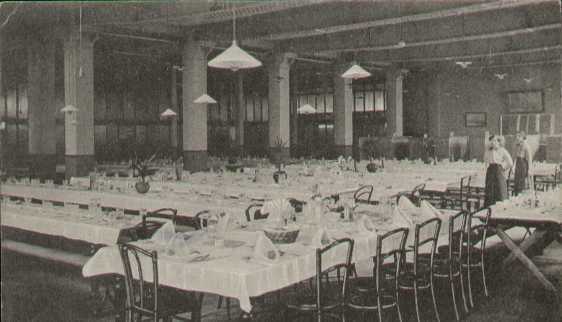 During his time as High Master the Old Mancunians, implacably opposed to any change in the School they remembered, discontinued their dinners as protest and resumed them only when he left. 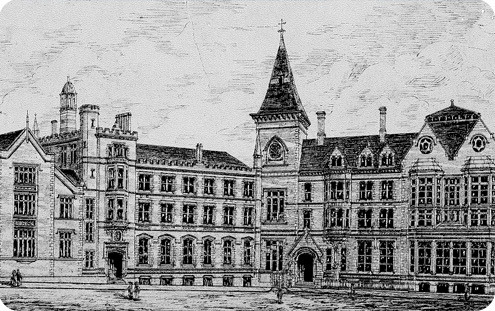 In 1867 after much opposition (mainly from the Old Mancunians) the Feoffees' request to the introduce fee payers into the School was successful, with the proviso that any new accommodation for the proposed 150 fee-paying boys must be paid for by public subscription and not out of the School endowments. This enabled the School to add a modern side to its existing classical side, teaching science and modern languages to an equally high level as Latin and Greek. The Feoffees accepted their obligation to provide 250 foundation scholars with a free education, which almost broke the School financially. During Walker's time at MGS the books only balanced in 1869 and he tirelessly solicited bursaries, exhibitions and scholarships for boys. After 17 years F W Walker left to become High Master of St Paul's School in London. He had previously declined the Corpus professorship of Latin to remain at MGS. One Manchester businessman bequeathed £10,000 to the School, which went towards the chemistry laboratory. 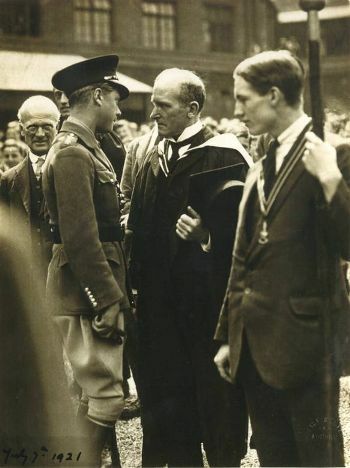 Others subscribed towards exhibitions to enable boys to free study at Owens College and London University, as well as Oxbridge and elsewhere. Walker was passionate about boys gaining places at Oxbridge and in 1863 every one of the boys in his classical sixth form gained an open classical scholarship to the universities. After 17 years F W Walker left to become High Master of St Paul's School in London. He had previously declined the Corpus professorship of Latin to remain at MGS. By 1899 the shadow of war fell over the School, which was now divided into three sides: classical, modern and special, the latter separated into three departments mathematics, science and boys hoping to matriculate at London or Victoria (Manchester) universities. High Master King resigned in 1903 and the Saturday Review acknowledged his success in building such an education ladder in Manchester. His successor J L Paton (High Master from 1903-1924), 'one of the most renowned schoolmasters of the twentieth century, embodied these democratic instincts in every fibre of his body and intellect'. During his time at MGS Samuel Dill had established the Hugh Oldham Lads' Club and his successor Michael George Glazebrook became chairman of its committee. Although only spending two years at MGS, Glazebrook introduced a harriers and a hockey club, and instituted fortnightly reports, to be taken home by each pupil and signed by his parents. Three feeder preparatory schools, set up in North Manchester, South Manchester and Sale, helped to alleviate the problem, and the school roll of MGS stabilised itself at around 800 pupils. Additionally, the 1902 Education Act empowered local authorities to offer scholarships and bursaries to pupils passing from their elementary schools to such endowed schools as Manchester. More and more able children got a foot on the education ladders. 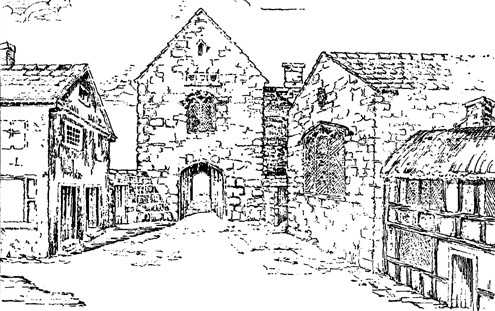 In 1515 Hugh Oldham provided the funds to found The Manchester Grammar School, with the support of his sister and brother-in-law Hugh and Joan Beswick. Hic jacet Hugo Oldom Eps. Q. obit XXV die Junii Ano Dni Mill. CCCCC XIX Cuj. animae ppcietur Deus. and maps of the period spell Oldham in that way. Only one of the owls with which the chapel is decorated carries a scroll in its beak bearing the letters Dom. On the last Sunday in June each year a commemoration service is held in Exeter Cathedral with special prayers said at the tomb of Hugh Oldham. The MGS Coat of Arms, which the School displays in the Memorial Hall, is that which Hugh Oldham bore as Bishop of Exeter. It consists of the arms of the Bishopric of Exeter and Oldham's personal coat side by side. The Exeter arms show the deys and sword, emblems of St Peter and St Paul, to whom Exeter Cathedral is dedicated. 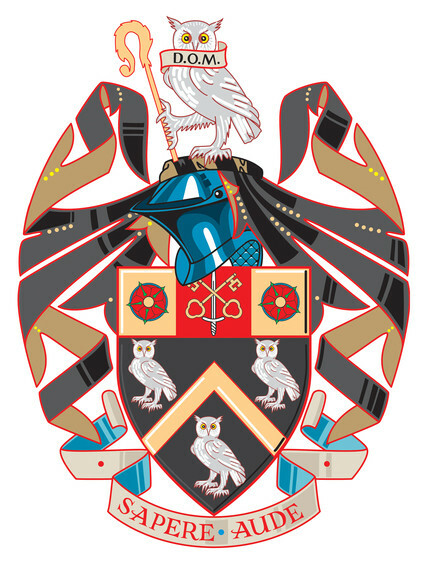 Oldham's own arms include owls, which it is assumed he chose as a pun on the first syllable of his name, and red roses, indicative of his Lancastrian origins. The motto Sapere Aude translates as 'Dare to be Wise'. During a visit by the Queen to MGS in 1965 it was discovered that the School had (within living memory and the available records), in all innocence, been using the Bishop Hugh Oldham's Episcopal arms. Heraldically, this is improper practice, though the use of a founder's arms by scholastic establishments is not uncommon. As a consequence the Old Mancunians undertook to finance an application by the School to the College of Arms for a grant of Arms personal to itself. Arms are honours and all honours in this country stem from the Queen. Heraldic matters come under the jurisdiction of the Earl Marshal, the Duke of Norfolk, and he is approached in such matters through the College of Arms in London. The officer of the College who dealt with the School's petition for a grant of arms was Colonel J R B Walker, Clarenceux King of Arms. Sable, a chevron or between three owls argent, a chief or, thereon a pale between two roses gules barbed and seeded proper, the pale charged with as many keys in saltire wards upward and outward or, in front of a sword erect proper hilt and pommel or. For the Crest on a wreath or and sable an owl holding in its beak and scroll argent inscribed D.O.M. in letters sable and supporting in its dexter claw a pastoral staff or. The arms subsequently granted are of the Oldham family Arms the difference being that the centre rose in the chief (the band across the top) is replaced by the arms of the Diocese of Exeter. A problem arose with creating a new School crest. Having to find an alternative to the mitre, the School advisers decided this should be replaced by a helmet with the rebus* as crest. But what the College of Arms introduced as crest was an owl with a scroll across its breast on which the inscription dom became D.O.M. The original early royal charter, signed by Henry VIII and dated 21 February 1509 depicting Hugh Oldham's Arms depicts dom. To-date no-one has been able to explain why this was translated to D.O.M. on the new crest, but evidence clearly shows that the D.O.M. used by the College in the new Grant of Arms is not the dom as used by Hugh Oldham, his scribes and illuminators, and his stonemason. In the words of Sir Harry Page "There is nothing intrinsically wrong heraldically in extending the crest in this way. A case can be made that this enlargement gives greater depth to the pun; it is now a double pun." The evidence is that the College believed what they adopted was the correct form. * The term rebus is short for Non verbis sed rebus, 'not by words but by things'.